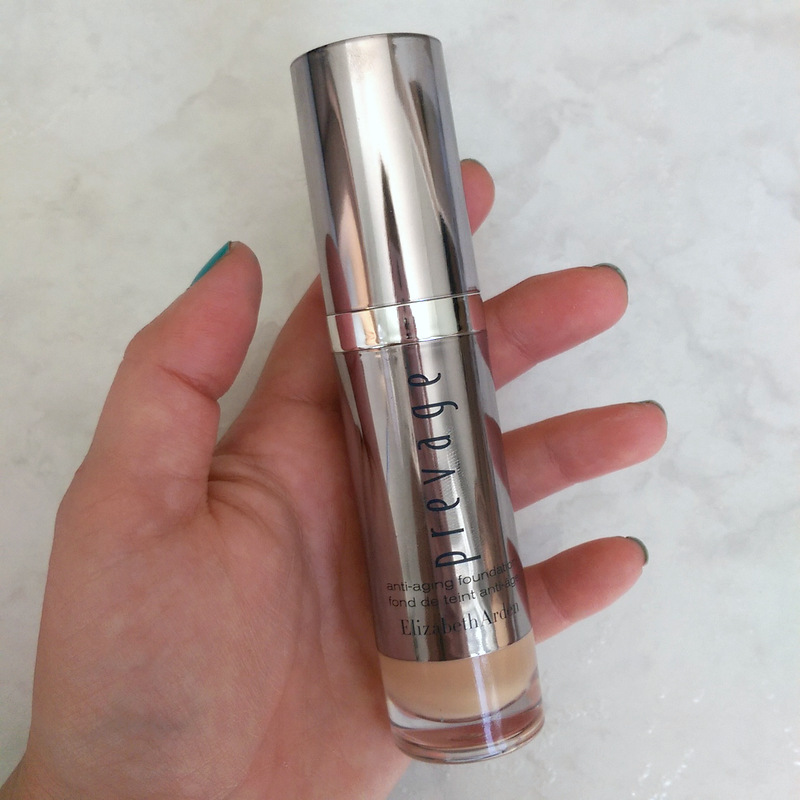 First up, Prevage Anti-Aging foundation (R650) has finally launched in South Africa and it’s lovely stuff, blurring the lines between a treatment and a foundation. Unlike so many other foundations that offer additional benefits, things like added anti-ageing ingredients, it doesn’t contain a mere smidge of the active. This guy contains a serious whack of antioxidants, the hero being the brand’s super antioxidant idebenone plus brightening collagen-booster vitamin C and an antioxidant complex that includes thiotaine, ferulic acid, L-Carnosine and green tea. I also love that it’s got a nice high SPF of 30 and its pigment is hydra-encapsulated to help your skin retain more moisture. Because of this, it’s a good pick for anyone with a medium to dry skin type, provided you don’t have anything to hide. The coverage is a bit luminous and gives your skin a healthy-looking glow but it’s very, VERY sheer – not as sheer as a tinted moisturiser – but close. So, if you’re a ‘double wear’ kind of girl this won’t make your day but if you just want something to even out your skin tone while doing it some good its a big win. See what I mean by sheer? It’s already got opacity before its even spread out. But I like this shot as you can see it’s got a nice luminosity to it. Even though I’m an oilier skin type, I’ve found I can happily use this if I reach for my blotting powder now and again (something I’m used to doing) and it didn’t slide off my face as the day wore on. It does have a bit of a perfume-y scent which some people don’t like so I feel it’s important to mention but I don’t have sensitive skin so fragranced products don’t really bother me. In all, this baby’s a winner. 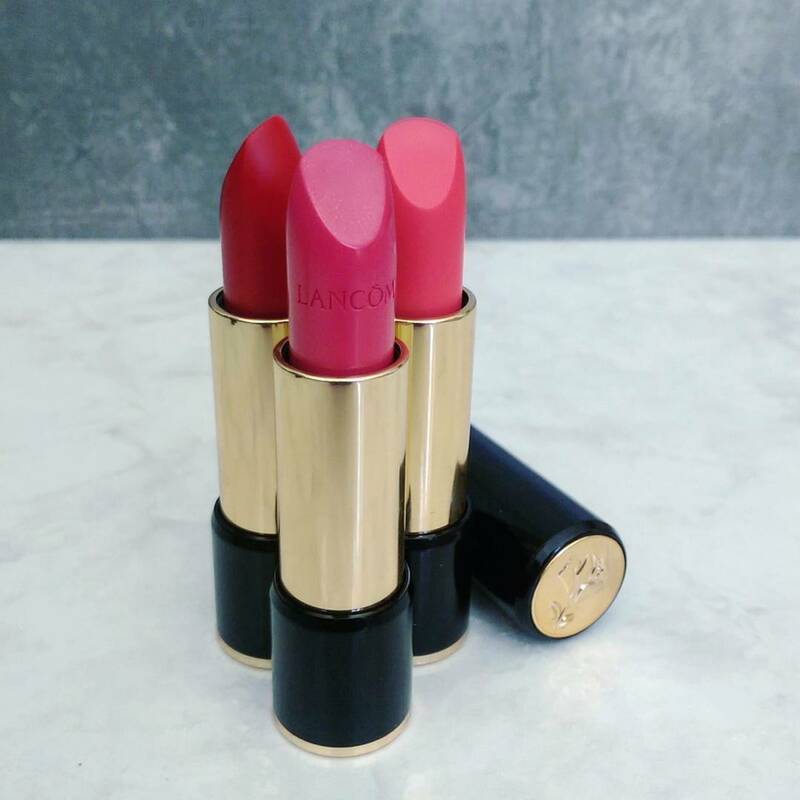 Moving on, let’s talk about Lancome’s indulgent new lippies – L’Absolu Rouge (R399). 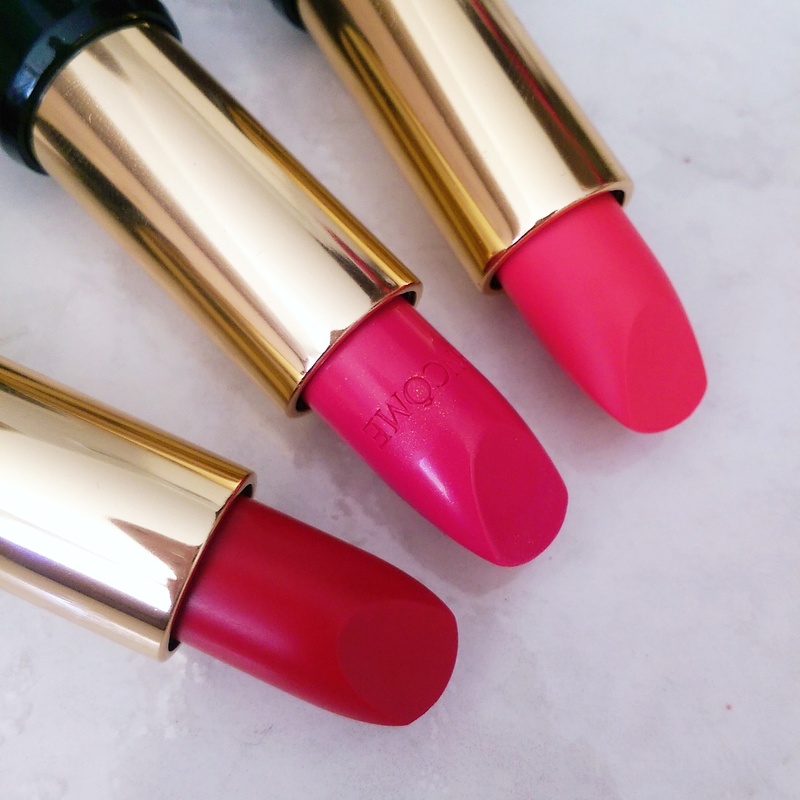 From left to your right you’re looking at Lancome L’Absolu Rouge lipstick in Isabella, Rose Rendez-Vous and Le Rose Persan. Now these babies are an absolute sensuous pleasure to use. 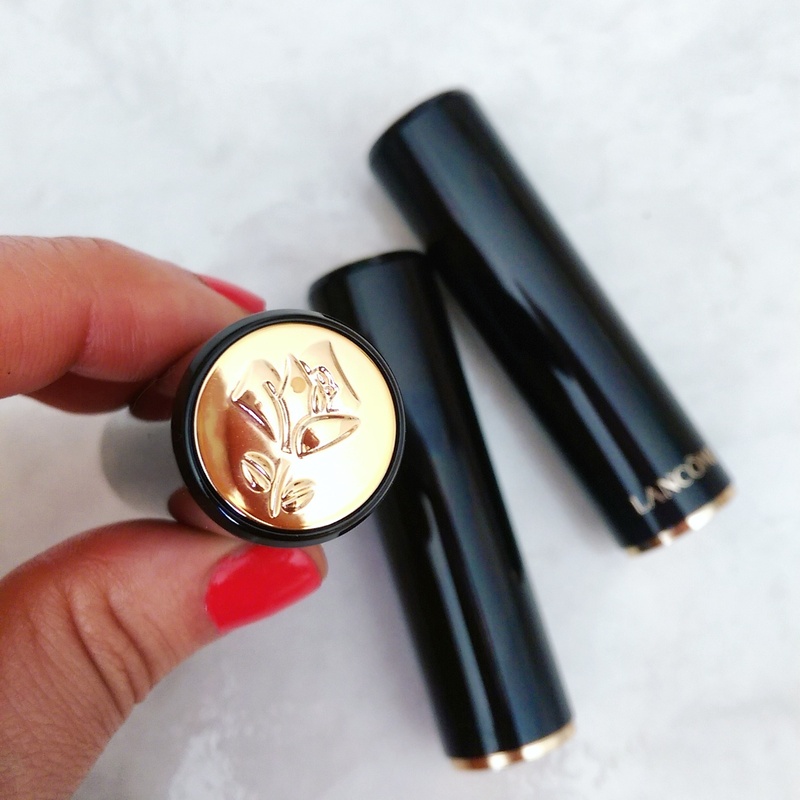 Infused with loads of hydrating macadamia oil, moisture-boosting Pro-Xylane and antioxidant vitamin E, the moment you slick them on, you know you’re not dealing with a drug store lipstick. 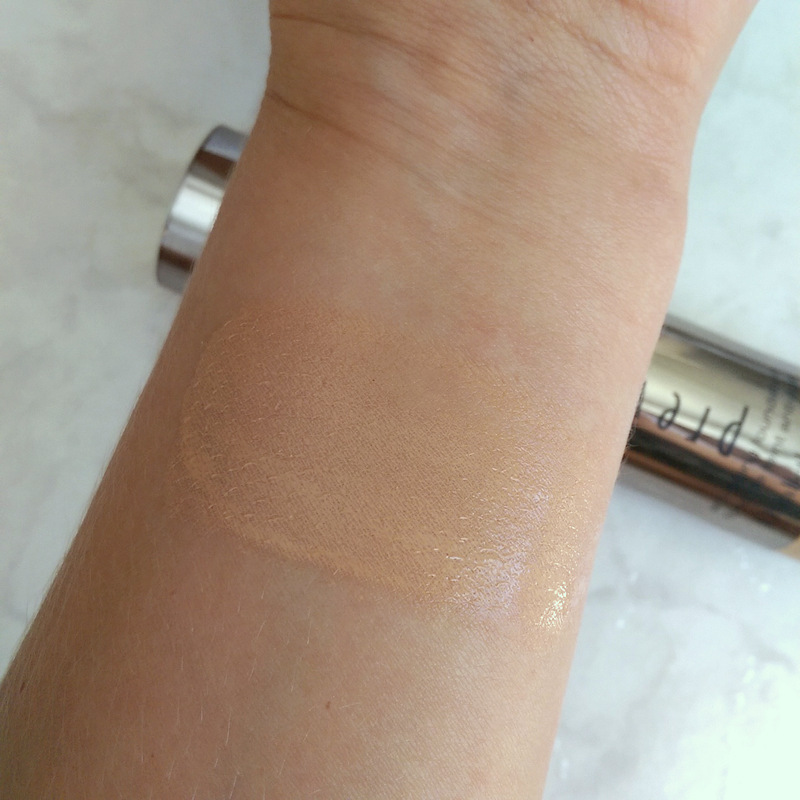 Each creamy-textured colour (available in three finishes – sheer, cream and matte) glides on like butter and feels so wondrously balm-like that you’d expect the colour pay off to be rubbish, but nope, the pigment punch is great. As these are primarily hydrating lippies, they’re not long-wearing so you’ll have to reapply a few times as the day goes on, but the colour doesn’t feather or slide. 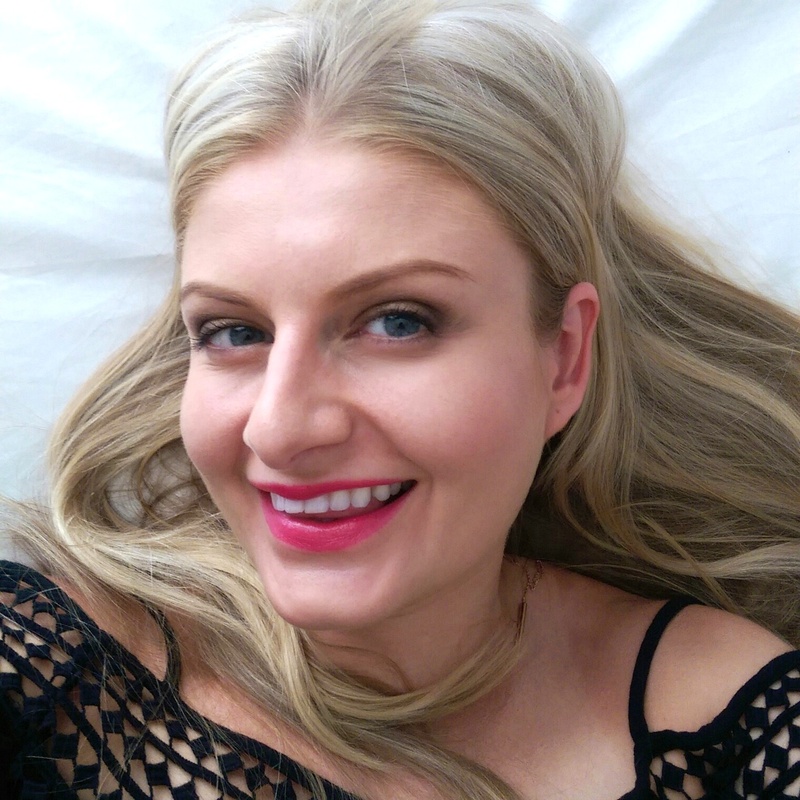 I’m wearing Prevage foundation on my face and Lancome L’Absolu Rouge in Rose Rendez-Vous on my lips. Also, you gotta love December. The one month where you’re too lazy to sit up for a selfie! Then there’s the ultra-luxe packaging. Each slightly heavy-feeling tube doesn’t simply pull apart. You’ve got to push down on the gold rose on the top of the tube to ‘unlock’ it and then you can slide out the bullet. This is the kind of lipstick that, when your friend’s three year-old finds in your bag and smooshes it into the table at Rock Pool, you’re going to huil. Speaking of kids, if you’ve got them and live near the beach you might want to take them out to experience Nivea’s Sun Slide. The concept is pretty ingenious. You pop your kids on the giant inflatable slide and they get spritzed with a dose of Nivea’s kid-friendly water-proof SPF 50. Suddenly, coating a kid in sun protection becomes something they’re actually going to be keen on. 23 and 24 Dec – Ushaka beach (for the East Coast Radio Beach Festival). According to Nivea they’re coating around 100 kids an hour. Niiiiice! Not in Durbs? You could always make a holiday out of it using Accomodation Direct to find a place to stay or, better yet, win a break worth R5000 by entering my competition. Who wants to win a summer getaway worth R5000 thanks to AccommoDirect.com?